As an Executive Recruiter with KBRS, Robert leverages a passion for people, research, analysis, and organizational design to identify and attract the top talent for our post-secondary education and corporate clients. Robert’s background includes roles in human resources, business operations, data analytics, and law, and he has worked for small family-owned business, government agencies, and large multi-national corporations. He believes deeply that the key to any organization’s success is finding talented, passionate people and putting them in the right roles, and he prides himself on using his experience to match his clients’ strategic objectives, culture, and long-term plans with the right people in the marketplace. 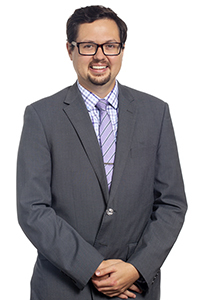 Robert holds a Bachelor of Arts from Purdue University and a Juris Doctorate from Drexel University. He lives in downtown Halifax with his partner and best dog ever, a grumpy pug named Meatball.